In 2010, Idaho became perfect place for online poker players after Washington made all types of online games criminal offense in the state. At that particular time Washington law was the strictest laws in the entire nation. This law put huge impact on the online poker service providers and players as most of them opt for Idaho to enjoy their favorite online games. But at the present moment Idaho is not perfect place for online poker players and rest of the online casino games can’t be played legally. People have to wait for either state government should make laws which legalize online poker or federal laws are passed to make this game legal across the country. In the mean time people of Idaho have to wait for fulfilling their gambling needs especially online poker. 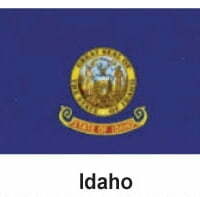 It might never happen as there is very less chances that people of Idaho can play online poker legally. According to the interview of Vito Barbieri, he is not sure that if they will introduce online poker legally then it will become successful in the entire regions of the state. He also stated that it is impossible to make online poker legal at this present political environment. Reporters asked from the other state representatives that they are in favor of making online poker legal in their states and on national level. Then representatives clearly indicated that they are not at all interested in making online poker legal. Some of these representatives also suggested that Idaho should not make online poker legal as their in no scope of this game in future. There are many private organizations that are at present offering their services and introducing online poker and other online gambling will put huge burden on the state revenue. Marv might have skipped the crackdown operations of federal agencies that started in 2006. They targeted online gambling sites with Unlawful Internet Gambling Act. He may not be aware of revenue that online poker can generate as many other states that are offering online poker legally are generating billions of dollars every year. When Online Poker is available at Idaho? It is very clear that many of the elected officials who are representing public demands are agreeing to the online poker should be legalized. There are many other factors that might put negative or positive effects on online gambling. If federal government creates law against the online poker than there is no chance that Idaho people can play this game online. But at this present moment there is no federal law and elected people are promising that they will make online poker legal in Idaho soon. There are some other problems as well that are related with the online poker such as how state will provide wining amount for the winners and if that number exceeds from the incomes then what are the right ways to manage this problem. Until there are great resources that can provide great funds to the state, there is no chance of people playing online poker legally in Idaho.